By 1973, I had relocated to Winter Park, Florida, to take a position with John McDaniel. John had a wonderful inventory, strongest in U.S., Western Europe and British Commonwealth. 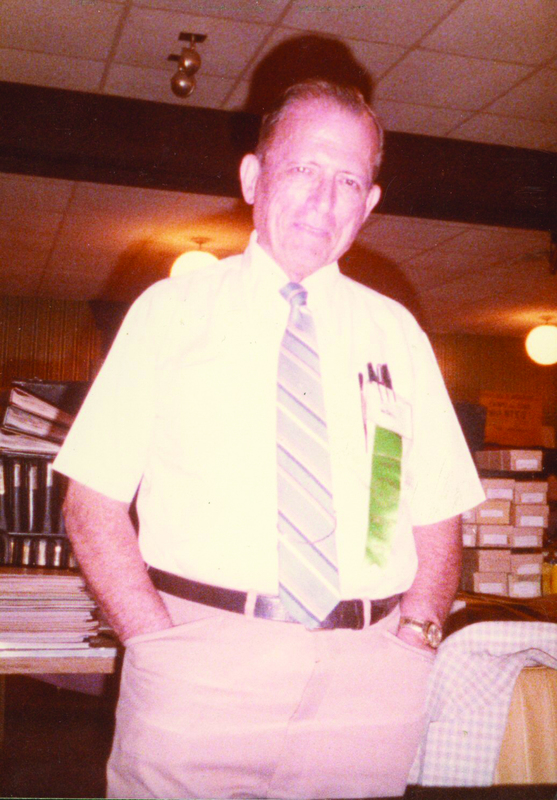 As the premier professional philatelist in Central Florida, top notch collections would roll in and everyone knew him. John had an office suite on the second floor above trendy Park Avenue shops in the downtown area. The only downside was walking the double decker stairs: folks bringing in cumbersome collections had such a hard time! That aside, the office hummed with activity, not so much with local collectors, but with staff filling mail orders, doing bimonthly mail sales, and preparing for the occasional stamp show. John was mulling over a problem in 1973: he had an incredible inventory but didn’t know how to sell enough of it in an orderly fashion. His means of buying and selling meant he was adding more stock than he needed. He sure wasn’t going to wholesale merchandise or place it in someone else’s auction for fear it would result in a loss. John was all about "control". So when he hired me, he was willing to keep an open mind to my ideas on how to step-up sales. I had last worked in a fast growing publicly traded numismatic company with a keen eye on their merchandising techniques. Instrumental in my rise was keeping a close tab on market trends, this before the immediacy of online. Before I arrived, John was content with one show a month, garnering $4,000 in sales. My last year there, we did three shows monthly, averaging $20,000 each. I’d do Chicago, John would head off to Boston. The stock was refashioned in a self-service manner so just one of us could man the table for the entire weekend, helping many collectors at the same time. John was blessed with a fine staff. Bob Womack was the resident expert on US and worldwide classical material. He’d come from the metropolitan NYC area, forming the Bergen Stamp Company, specializing in Turkey, of all things. (I imagine it fed his love of dealing with the truly difficult.) A boisterous man of wide interests, Bob would in later years join my crew when I opened my own shop. There was a sweet lady named "Robbie" Robertson, who kept track of the office work. Absolutely indispensable in those pre-computer days. John kept such a messy desk. Once yearly, he’d go on vacation—so I’d clean off his desk, finding orders to fill and stamps to put away. I remember filling an order that I found one summer buried on John’s desk that resulted in the guy complaining to the APS about me(!). John wasn’t an APS member so the customer vented his frustration at the only one standing, that is, until he recalled the complaint, realizing I wasn’t to blame. Good thing: in almost 40 years of APS membership since, I’d never had to deal with a complaint. Anyone who was a collector in town knew John. A Mr. Gore, whose collection of exceptional quality U.S. was sold in a name sale by Robert Siegel decades before, would stop by from time to time. I thought he’d fallen on hard times as he’d lost most of his top teeth and hadn’t acquired upper dentures. He thought the cost too expensive. John and I were driving to an appointment and John pointed out a magnificent lakeside mansion, saying that was where Mr Gore lives. We spoke of relative values, how a man who would keep up a lakeside property would not cough up the funds for dentures, if only to chew a good steak. One day Carl Langford, the mayor of Orlando, stopped in. John was out, and I’d not met Carl, so with a flourish, Carl handed me his business card, saying "You can call me ‘Mr Mayor.’" I thought to myself, "Well, gee, we’re in Winter Park, and even though he’s a legend in his own mind, I’d rather be on a first name basis", so I whipped out MY card, and with my best goofy smile, I retorted "You can call me "Mr Stamp Dealer!" Carl thought it over for a few seconds, tipped his chair backwards, and laughed out loud, then extended his hand to mine saying "I’m Carl", to which I said "I’m Mike." And that’s how we remained until his recent passing.